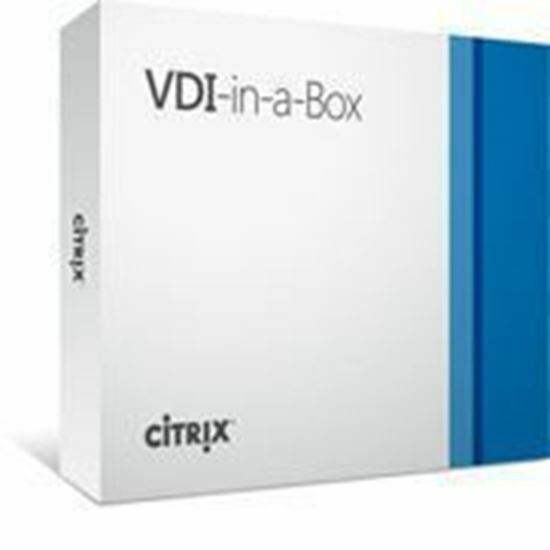 Citrix® VDI-in-a-Box™ is an all-in-one VDI solution that delivers personalized virtual desktops for less than the cost of new PCs. VDI-in-a-Box is available as a virtual appliance that runs on industry standard servers and eliminates the need for expensive datacenter infrastructure. Powered by Citrix® HDX™ technology, VDI-in-a-Box delivers an excellent quality of experience to users anytime, anywhere and on any device. Designed for desktop IT administrators, VDI-in-a-Box delivers an immediate return on investment (ROI) by being simpler and less expensive to set up and manage than PCs. Licenses include one (1) year of Software Maintenance (software updates, upgrades and 24 x 7 technical support).